Italian social worker accused of strangling and dismembering a Scots-born police officer he met on gay dating site Grindr. A jury has been sworn in for the trial of Stefano Brizzi, 50, after he allegedly killed 59-year-old Pc Gordon Semple at his London flat some time between April 1 and April 7. Inverness-born Mr Semple had been on duty and had attended a meeting at the Shangri-La Hotel in The Shard near London Bridge shortly before he disappeared. He was last seen on CCTV about half a mile away from the Southwark flats, three hours after leaving The Shard. His remains were found about 200 yards from where he was last spotted after a neighbour alerted Scotland Yard to a “smell of death” coming from a property in south London. The trial is expected to last for around three weeks. THE man who strangled a Met Police officer before trying to dissolve his body in an acid-filled bath has been jailed for life. 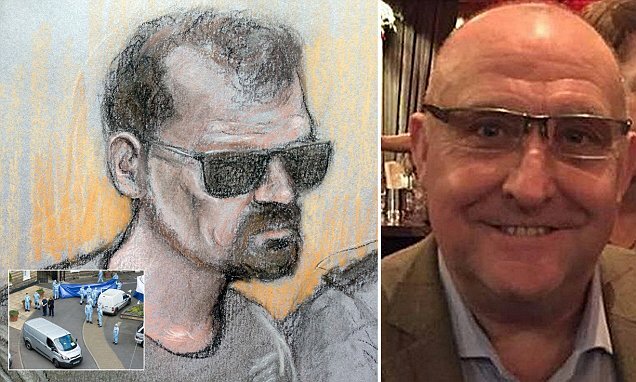 Stefano Brizzi admitted dismembering PC Gordon Semple, 59, while high on crystal meth. He was ordered to serve a minimum of 24 years in jail.